Among the weekend’s socialising are members and clubs who have been working tirelessly throughout the rest of the year in a host of different ways. Announced at Sunday’s AGM, we reveal the 2017 winners. This award recognises excellence in delivery and continued hard work of YFC trainers who deliver Curve modules - a series of interactive workshops exploring a variety of topics including organising the best money spinners to strengthening relationships in clubs. The winner is Alice Beckett on behalf of Nottinghamshire FYFC. For the county federation scoring the most points in the 2015/16 national competitions programme. This award was presented to Richard Carruthers on behalf of Cumbria FYFC. The reserve county federation scoring the most points in the 2015/16 national competitions programme. The award was presented to Claire Bellew on behalf of Devon FYFC. This marks the county federation with the largest percentage increase in membership over the past three years. This award was presented to Catrina Wootton on behalf of Hertfordshire FYFC. This trophy is presented to the county Federation raising the most money per member for a charitable cause outside of YFC. The award was presented to Hannah Kelsey on behalf of Essex FYFC, who raised £93.06 per member. This trophy is presented to the club which has raised the greatest amount of funds per member for charitable purposes over the last 12 months. The award was presented toCharlotte Wreford on behalf of Totnes YFC in Devon. This is awarded to the county with the most members who have registered to give blood up to March 31, 2017. In 2016, as part of the NFYFC Chairman of Council’s campaign, NFYFC’s members were challenged to help communities by registering as blood and organ donors. The winner is Katherine Bunn from Berkshire YFC. 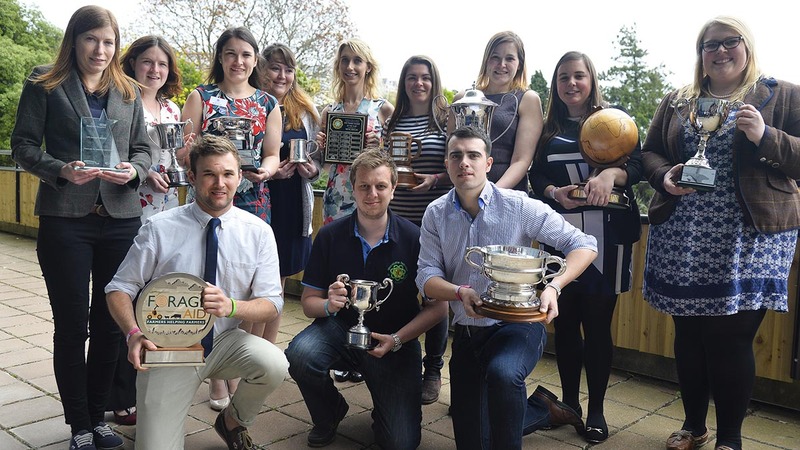 This is awarded to the YFC who has raised the most donations of money for Forage Aid over the last 12 months - the charity supports farmers whose livestock has been affected by an extreme weather event providing forage and or bedding to those in need. The award was presented to Will Gulliver on behalf of Buckingham YFC. This trophy is for the member making the best contribution to the proceedings of the Annual General Meeting. The winner is Christina Coulthard from Cumbria YFC.